Great news! 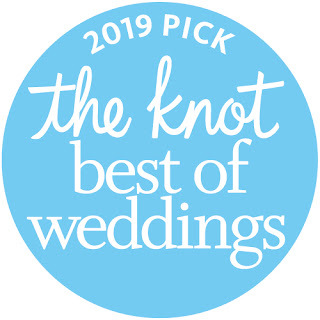 Melissa Rose Dance has won The Knot's "Best of Weddings" Award for 2019! Melissa Rose is an independent dance instructor in the North Dallas area. She teaches singles, couples and groups for weddings, social dances, parties and events. Melissa began her dance teaching career in 2009. Though she teaches several styles of social Latin, ballroom, and country dances, her formal training began with one of the most difficult: Argentine Tango. Despite its absence of standardized patterns and choreography, Argentine Tango is perhaps the most intricate of social dances. Heavily improvised, it places the highest importance on the connection between leader and follower through the embrace. Melissa holds this same emphasis on connection throughout her lessons in all dance styles. It is this dynamic that allows both partners to quickly learn new steps, and to move together as naturally and easily as possible. Melissa Rose began her career in dance when she happened upon an Argentine Tango class while studying Anthropology at the University of North Texas. As would any Anthropology student desiring to gain a deeper understanding of their subject, she spent the following summer studying Tango in its birthplace: Buenos Aires, Argentina. She returned to Denton and began teaching for the university's Tango student organization. After graduating, she continued to study, teach and perform Argentine Tango, Salsa, Ballroom and Latin. She currently teaches in North Dallas, Addison, Carrollton and Frisco.